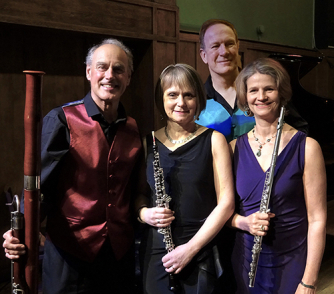 Harmoniemusik presents a colourful programme of trios & quartets for flute, oboe, clarinet, bassoon & harpsichord. Tea & cakes included in the ticket price, served after the concert. This concert sold out in 2017, early booking is advised.